Big R is your one stop feed store! 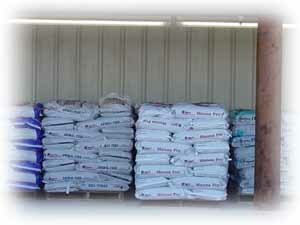 Big R carries basic grains, complete feeds, milk replacers, feed supplements, alfalfa and more. For large and small animals! We also carry the areas largest selection of Dog & Cat food! Our high volume rotation and vendor selection ensures feed freshness, quality, and pricing. Whether you are feeding horses, cattle, goats, sheep, dogs or cats, come in and see for yourself why our feed can't be beat!